The "Locate Card" feature allows you to locate a card in the Pile if it is visible. To use the Feature, select the "View -> Locate Option" from the menu bar. 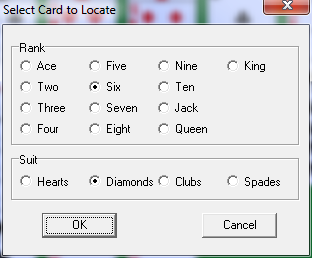 Select the card you want to locate and then hit OK. The program will then display the location of the card. If the card is not visible, the program will tell you.